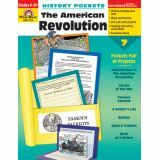 History Pockets-Native Americans, Grades 1–3, contains nine memorable discovery pockets. The introduction pocket gives an overview of the tribes in North America that are featured. The other pockets focus on food, clothing, shelter, and family life of eight Native American tribes. Evaluation forms are provided at the end of the book to give students a chance to reflect on all they have learned. Help your child navigate his or her way to success with a series that explores and explains important aspects of geography. 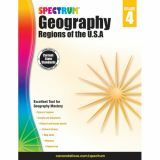 Spectrum® Geography: Regions of the U.S.A. for grade 4 doesn't stop with improved geography skills—it provides pages of informational text to strengthen comprehension while children learn about regions. 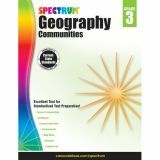 Winding through purple mountains majesties and amber waves of grain, the standards-based Spectrum Geography: Regions of the U.S.A. for grade 4 guides your child's understanding of maps, regions, canals, tributaries, and more using colorful illustrations and informational text. Help your child navigate his or her way to success with a series that explores and explains important aspects of geography. Spectrum® Geography: United States of America for grade 5 doesn't stop with improved geography skills—it provides pages of informational text to strengthen comprehension while children learn about our national (and natural) treasures. 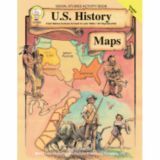 Winding through purple mountains majesties and amber waves of grain, the standards-based Spectrum Geography: United States of America for grade 5 guides your child's understanding of maps, ecology, historical events, population, and more using colorful illustrations and informational text. Help your child navigate his or her way to success with a series that explores and explains important aspects of geography. 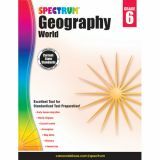 Spectrum® Geography: World for grade 6 doesn't stop with improved geography skills—it provides pages of informational text to strengthen comprehension while children learn about the world. 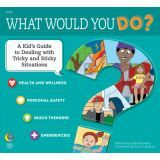 The standards-based Spectrum Geography: World for grade 6 guides your child's understanding of ecosystems, world religions, current events, human migration, and more using colorful illustrations and informational text. Teach students the importance of the U.S. Constitution with the help of Mark Twain's U.S. Constitution book for middle and upper grades. Understanding the US. 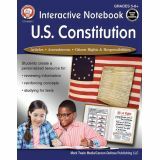 Constitution for fifth to twelfth grades helps students become informed citizens by delving into the history and structure of the U.S. Constitution. 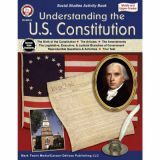 This social studies resource book covers the birth of the Constitution, the branches of government, the articles, and the amendments. Full copy of the U.S. Constitution and a sample test are included.